June 2017 - I am not a pie. Asking for what we want. It’s hard, asking for things, isn’t it? At least, for me it is. The word my mom always used to describe me is “self-sufficient.” She was amazed that a baby could have internal resources. She used the example of cleaning the sun room, which served as a toy room, when I was a baby. She’d dump all the toys from my brother and sister in the middle of the room, and then start sorting them away. I’d sit and play with whatever was left. Eventually, she said, I’d be sitting there, contentedly playing with dustbunnies and a clothespin. Mom loved this story and I find it illustrative, but not in a “poor pathetic me” way. Oh look at me, the baby on the floor of the sun room, playing with dirt. No, that’s not how I see it, but I have a hard time articulating exactly how I do see it. I asked my mother for three things. 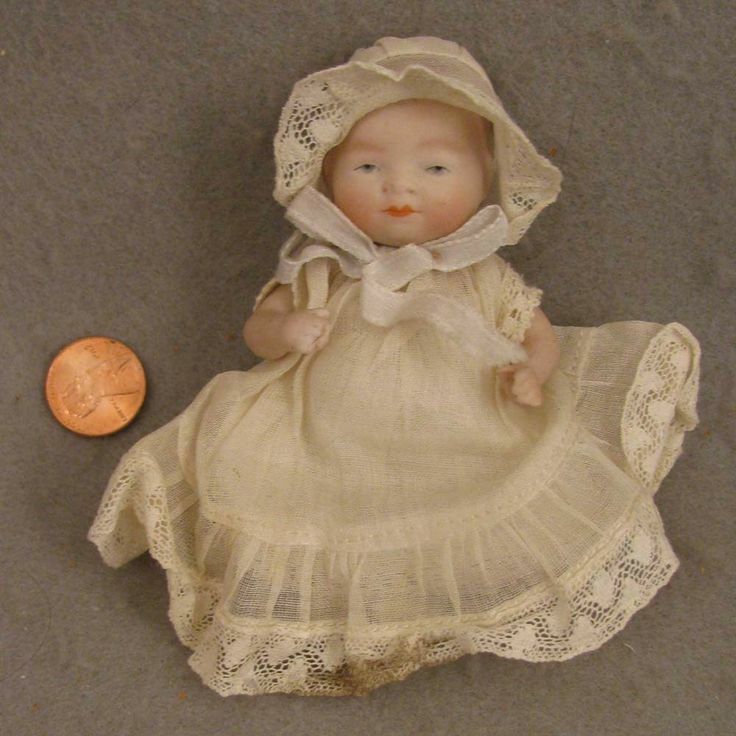 A small bisque doll from the Shackmans catalog when I was five, like a tiny Bye-lo (it was just like this one). I tried to demand this and it didn’t work. I remember the tantrum I threw. Mom was adamant, but the doll showed up on my sixth birthday, and I remember internalizing the lesson. Things are given. One does not demand. One displays the need, the preference, and one is granted, like magic, what one desires. I put this strategy to work with the next thing Mom said I asked for; a set of Raggedy Ann and Andy books that would come in the mail, like a book club. I brought her the flyer, talked with her about how I would happily share them with my older sister, how much I wanted them. And asked respectfully if we could at least sign up to get the free book. And miraculously, my mother agreed. You’d think, having learned how to ask, I’d have tried again. But it wasn’t my nature. The bisque baby tantrum was an aberration in my childhood behavior, and not rewarded. But the book club request was also an aberration, and even though it was rewarded, it wasn’t repeated. The third and final ask. I didn’t ask for anything else until I was thirteen. I was at this cool boutique in Bozeman, and I found an alpaca cape trimmed with llama hide. It was a true 1973 leftover hippy wonder garment, and my sister and I wanted it. But I was the one who told our mother about it, I was the one who went home and described it and it cost forty dollars, do you have any idea how much money that was in 1973? I knew I would never get it. My dad made 11K a year as a forester, if that gives you any idea. From somewhere, Mom got the money and bought it for me. It seemed miraculous. On the way home she explained, “It’s that you never ask for anything, Karen.” And she was right. I didn’t. I think those three things were it, as far as asking my mom for anything at all. She offered plenty and she gave plenty, but it wasn’t because I asked. When my friend Jay was still alive, back when we were still friends, he said, “You don’t ask for much. Hardly anything, to be honest.” But I do ask for things, I really do. I actually lost my friendship with Jay because I asked for one week off from hearing about his problems with a friend of mine. I was so tired of hearing about it that I asked them both for a week where we talked about anything else but their breakup. She completely understood. He ended our friendship. Look, I wanted to say to him, look what happens when I ask for something. But of course, I never said that to him, and he passed away, so that was that. Asking for something carries risk, then. There is the risk of rejection, of disappointment, of denial. Still, I continue to ask. I ask for space. I ask for quiet. I ask for respect of my intellectual boundaries, the uninterrupted time I need to live in my head so that writing can come out. I ask for less engagement, less conversation. Sometimes I ask for conversations about dogs or TV shows, rather than emotions or disappointments. I ask for time to go away and be alone. I ask for weekends to myself. I ask for rain checks. I ask for things that make people feel rejected. Because even though I love them, what I’m really asking for is less of them. Everyone else wants more time, more contact, more conversation. I am atypical. And when I admit this, I see how much of the estrangement in my marriage was my fault. Because my ex is a man who needs more. More time, attention, affection and affirmation. Even now when he stops by, I set up my little fences, look at him over my glasses, over my laptop. Sorry, I say. Not a good time. Go talk to your girls. I remember that he expressed this when we were married. He said, “You never make a fuss over me.” And I said, “What do you want, a one-man-band in the living room every night playing the ‘you are special’ song? A little party to celebrate you?” I also said, “What do you ever do to make me feel special? Ever?” He had no answer, because he basically didn’t do that (as a side note, whenever someone calls me nice, I crack up). I’m not very nice, and I don’t need anyone to make me feel special. I don’t require it. I’m at times embarrassed when people make me feel special. There will be a birthday or the like and everyone will be so nice and giving and sweet and I’ll become completely flustered, unsure of how to graciously accept the attention. I do like it, once in a while. I just don’t need or want it most of the time. I’m not like the other girls, you see. I didn’t understand that. I didn’t understand that with my emotional self-sufficiency comes a lack of empathy for the millions of normal people who aren’t emotionally self-sufficient. Not everyone else is a self-repairing emotional robot. Not everyone wants to go live in their head and make up people and stare at a monitor and type until their fingertips go numb and their eyes bleed. I think anyone who doesn’t is missing out on the one true and real joy of life, but there you have it. Not everyone goes through life listening in on it, recording it for later use in the illustration of some basic emotional truth. Not everyone is interesting in observing life rather than living it. This is why it shocks me when people say I’m a good mom. I’m not. I’m far too self-involved. I love the interior of my head and I adore my own company. I’m also not a very good friend because I forget people and I don’t make time and I pull away when I want to write or when I’m sad, tired, or overwhelmed by stress. That’s maybe ninety percent of the time. And yet I’m told I’m a good friend, too. I already know I’m hopeless as a wife or girlfriend and have periodically withdrawn myself from that market, though I appear to be doing a good job at the present time. But we are on our second go-round. He knows me. He knows how weird I am. He loves me anyway. That is a wonderful thing, to ask for acceptance and love, and to receive it. I guess I never really understood how strange I am until I started thinking about this. I think I should have to wear a sign. It would say, “Faulty wiring.” It would warn the world that I’m not quite the norm in the head, but I like it in here, anyway. And now, I’m off to play with my dustbunnies and clothespins.